Bhimtal in quaint, poetic little Uttarakhand, India is an oasis of refreshing aquamarine and turquoise beauty, a find in a country saturated with floods of attractive places you could be headed to on your next opportune vacation. Be it with family, friends, a lover or colleagues, this place welcomes you with lakes wide open. From expansive waterbodies to picturesque dams, eco friendly conservatories to temples for the pious souls, and views that could belong either to your local monsoon zenith or the beginnings of a really cosy rainy day movie, Bhimtal offers you all of it on a glistening platter. Make sure to plan ahead to secure a stay in this cool, pleasant Indian attraction. Following is the list of the 5 best tourist attractions here. Let’s kick off this list staying true to the Indian way- sticking with the gloriously traditional. Of course, we allude to a temple. This temple was constructed as homage to Lord Bhima, one part of the legendary five membered Pandava brother team of Indian lore. Bhima the God stands for other worldly strength and devotion. A temple earlier used to rest where this is now. Bhimeshwara Mahadev Temple ticks the boxes for history education, as well as pleasing the aesthetic eye. When you see the picture of this aquamarine beauty, Kashmir’s Dal Lake automatically rises to the forefront of your mind. Sure, they match each other in beauty-but can you guess what the other similarity is? Both of them are navigable throughout their course with boats, which make for highly memorable rides. 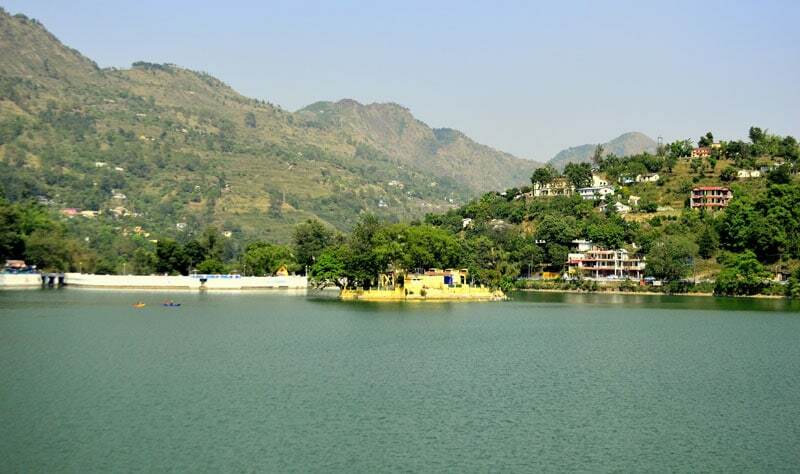 Other tourist attractions of Bhimtal dot its shores, like the Bhimtal Temple and the historic as well as innovative aquarium which sits smack in the middle of it. This is the aquarium on the Bhimtal Lake which is every bit a very fascinating tourist destination in its own right. The aquarium is highly remarkable to look at, and does its bit to keep Mother Nature healthy and well-in fact, a restaurant on the same ground was formerly taken down for the aquarium to be built because it was causing pollution. This aquarium is a must visit, refreshing as well as great for pictures, and you can take boats from the Bhimtal river. Victoria Dam is yet another of the tourist attractions worth a visit situated close to the Bhimtal Lake, in its shadows. These are located along the edges and periphery though, and not in the centre like the Aquarium. It contains beautiful flower gardens, which are enlivening, it is eco friendly, and what is more, it might improve your health through all the pretty walk throughs it offers. While in Bhimtal, this Dam is a priority. As we began traditionally with a temple, let us end with another gorgeous one as well. The second entrant is dedicated to the historic black sheep of mythology, the snakes. Karkotaka temple is to worship snake Gods and is named after a legendary cobra itself. It is a pilgrimage haven too, and attracts devotees far and wide, swelling at Rishi Panchami season. Visit for a date with history, culture and mystic beauty. Uttarakhand is one charming place to tourists, and we know of ample tourist hotspots by now. But the most amazing fact is that these spots have spots inside them, making a sort of tourism pyramid along the way. 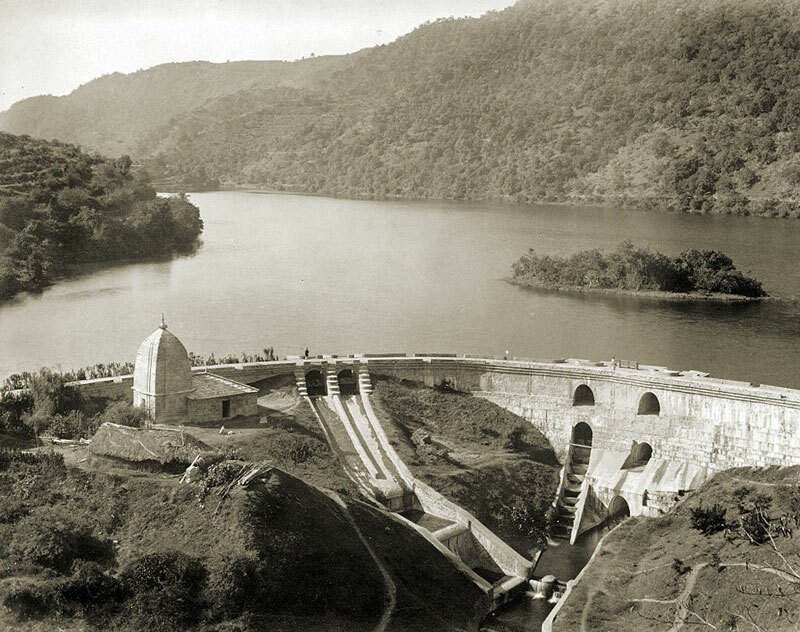 Bhimtal is one storey of the pyramid. And make sure it becomes your next exciting vacation story. Get a taste of its dams and temples and lakes, and come back wondering how come you never made a journey to this paradise before, and thank me next. The weather is pleasantly cool too, which is a welcome respite from India’s suffocating summers and sometimes biting winters, and Bhimtal weather remains congenial a lot of the time of the year, making it very tourist populated. Book in advance, and have a jolly good holiday!